I was pumped to get my 28″ Westcott Apollo Soft Box in the mail today and immediately did some tests with it. 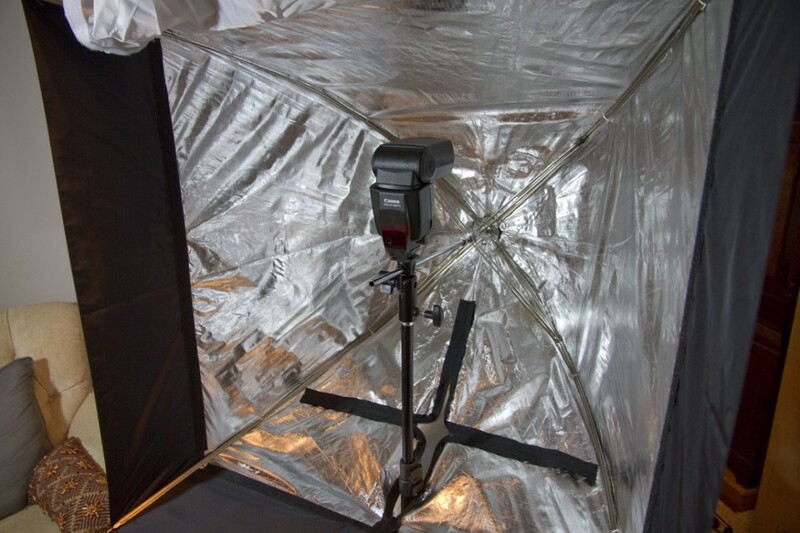 I’ve seen it used all over the internet and I know it’s one of the most popular and cheapest options out there for a soft box light modifier and wanted to see how useful it might be for my work. 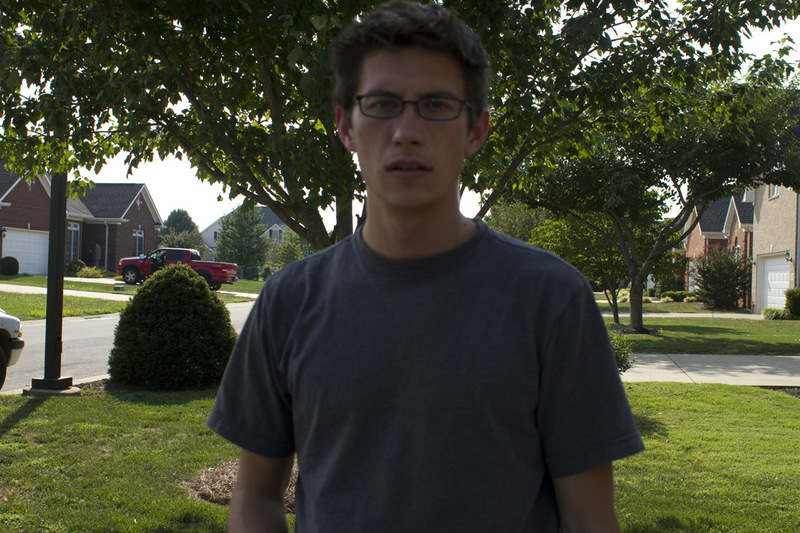 How will it work with my 580 EX 2 speedlight flash in full sunlight? 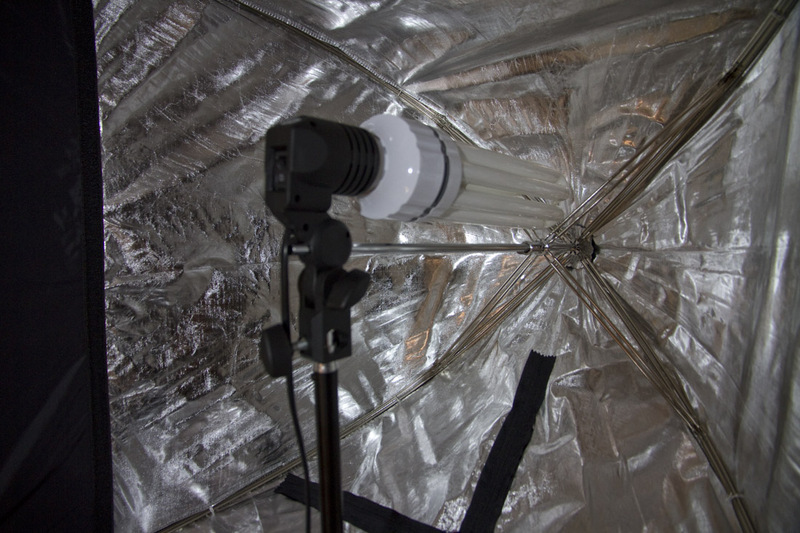 How will it work with the continuous lights I have for video? Is it all it’s cracked up to be? 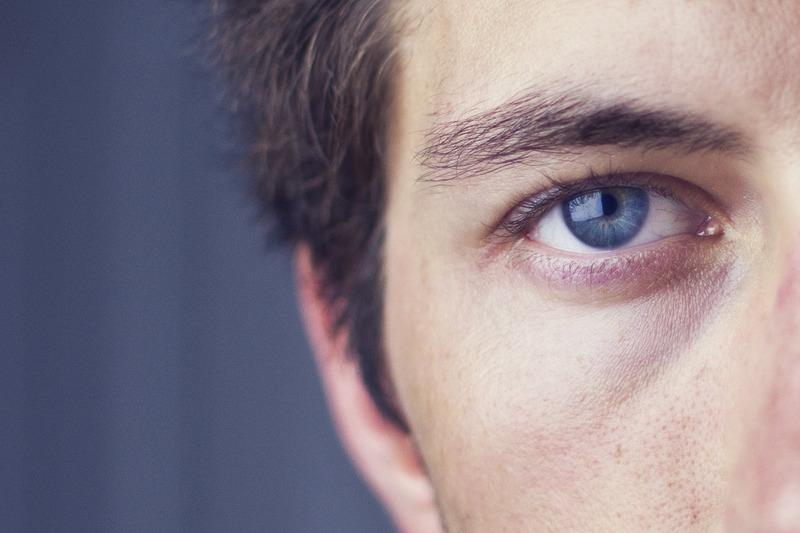 Notice the square catchlight in my eye from the soft box. The first thing I did was go outside with my Canon 7D and my 28mm 1.8 lens and the soft box and see how it stood up to full sunlight. So, in shade, outside, it can actually have quite an impact . 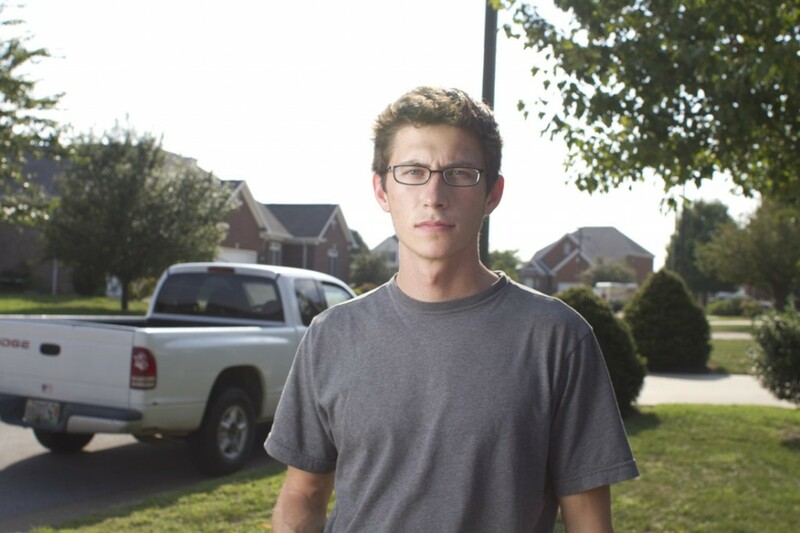 . . big deal, I was standing in the shade outside. Now for the real test. I moved out of the shade from the tree behind me and into full sunlight (with it behind my back). Awesome! It worked in full sun light! I am stoked. I just didn’t know the limitations of the 580 EX 2 speedlight especially putting a modifier in front of it outside in full sun light. The soft box was on a stand about 6 feet away from me camera left. So now that I got a positive answer to my first two questions. 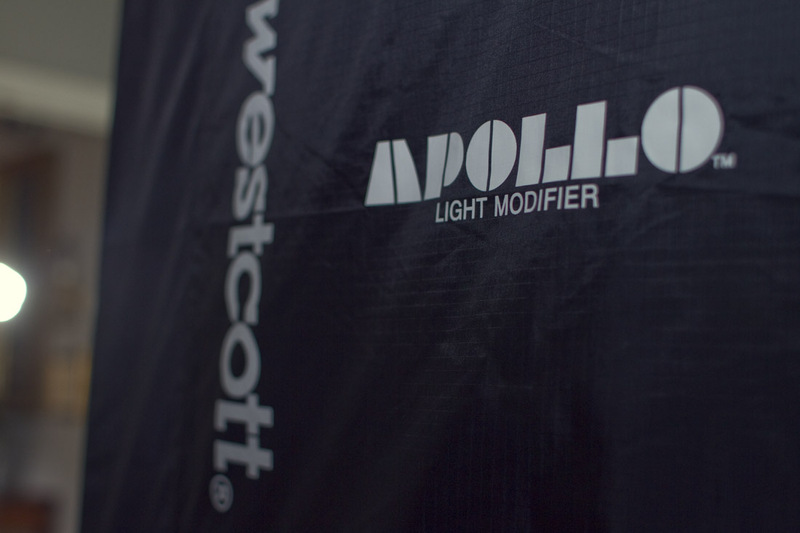 Is the Apollo soft box all it’s cracked up to be? I would say that time will tell, that I need to use it more (I just got it today!). But, my initial reaction would be that this is well worth the money and that, outside of two reflectors, I am very happy with this being my first light modifier purchase that it will work well with my flash and continuous lighting. The one down side, which I think is a trade off of this being made for a speedlight so you don’t need a speed ring, is the fact you can’t tilt this thing down! You are either going to have to have a boom light stand or get a voice-activated light stand to get the soft box tilted properly. The other thing to consider when using this outside is the wind of course. I had a 5 lb ankle weight on this guy and with enough wind, it was still wanting to tip over, so consider that too. No tilt for you! You'll be rejected trying to tilt this thing down by the front zipper. I will be using this for video with my continuous lighting this week on a project and I’m really looking forward to it. With that big 105 watt bulb it can still put out a decent amount of light inside this softbox and is much better than the crappy umbrellas that came with it in the kit my continuous lights came with. So I do think it’s all it’s cracked up to be, but of course, that also depends on the person using it to be able to use it correctly for the conditions to get the most out of it for it to live up to what it’s cracked up to be. 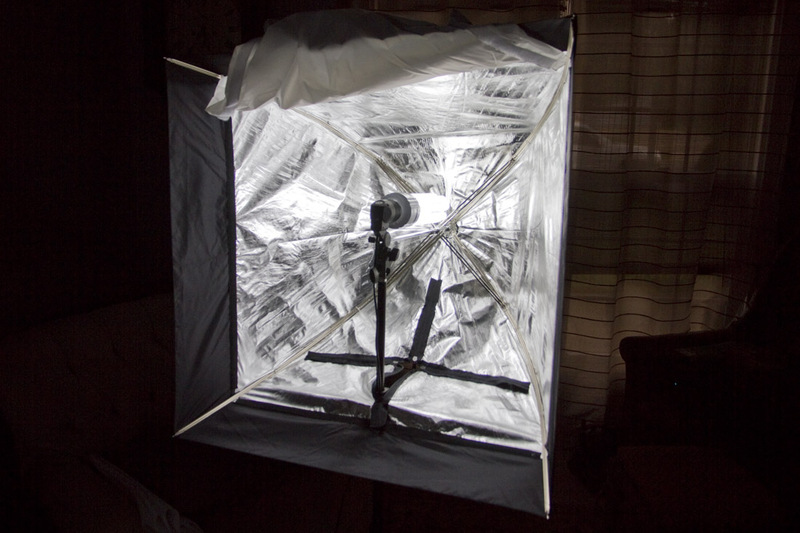 So I have officially jumped on the 28″ Apollo soft box band wagon! For $109 you can’t beat this thing! 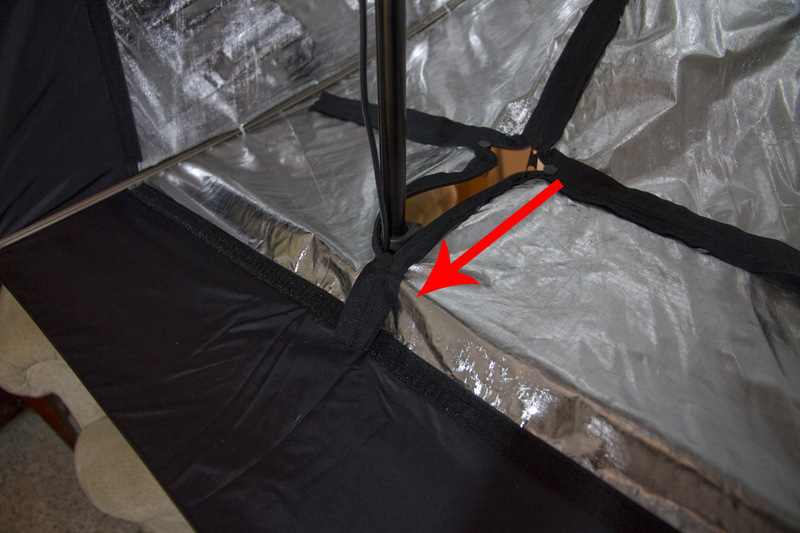 to solve the problem of not being able to tilt down – thanks to @Ayricksays on twitter for the tip. Hope that helps out for you. PS. I glued mine in so not to lose it.